With our international box shipping service, you can opt to make use of our professional packaging team. Movecorp’s expert courier service will then send boxes wherever you need them to go in the United Kingdom or internationally. Sending packages abroad has never been simplier. How Much Does It Cost to Send Boxes Overseas? The cost of shipping boxes depends on the amount of boxes you need and the size of each. The bigger the boxes used, the more it will cost, but don’t worry – our team of experts will advise you on the best box shipping service to suit your needs and your budget. 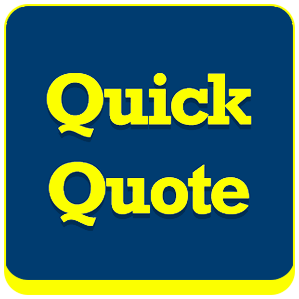 Simply give us a call on 020 7127 4597 for a free, no-obligation quote. There are no hidden fees or additional charges when shipping a box with Movecorp, so we guarantee you’ll be satisfied. Shipping boxes via sea freight is the inexpensive option but if you need a faster method, then we also send boxes via air freight. With our price match service, you’re covered if you find a lower price elsewhere. How Do I Send Boxes Abroad? Boxes for shipping do vary, but our team will discuss your needs over the phone or via email. If you decide to package the boxes yourself, Movecorp suggests you are very careful and selective of the materials you use. For example, if you are sending fragile items, then be sure to use a lot of bubble wrap, extra padding and strong cardboard shipping boxes. 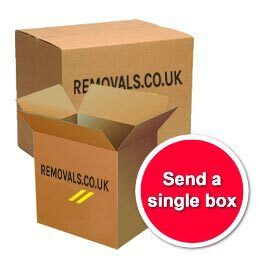 We even sell removal boxes on their own, if you decide not to use our shipping services. Where Can I Send a Box? Although Movecorp will ship boxes to any worldwide destination, our most popular box shipping destinations are listed below. If you can’t see your destination of choice, don’t worry, give one our friendly team a call and we will be able to provide a full quote based on your items. What Items Can I Relocate with Box Shipping Overseas? Just about anything can be shipped abroad. From precious paintings and musical instruments to much smaller goods, any item can be expertly packed and shipped overseas in our shipping boxes. For your package’s protection, we use extra padding, cartons, bubble wrap and packing tape to ensure they are safe as they travel. Shipping boxes overseas is as simple as finding the right box to suit your items. So, whether it is books and gadgets or suitcases and clothes, we have a box and a team that can do it all. What are the shipping methods for sending boxes? If you need your possessions in a hurry, air freight is the fastest transport method to move your goods internationally. Shipping Boxes via air freight are highly convenient, but this does come at a cost. Your quote for air freight Shipping Boxes is calculated based on the weight of your consignment, meaning it is not so economical especially for whole home loads. If you are only sending a one bedroom apartment or just a few items of furniture and require them urgently, air freight is a convenient transport method. 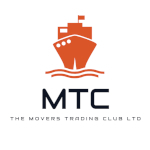 A lot of Movecorp clients will utilise our air freight service in conjunction with another transit mode. For example, sending a small quantity of items they need as a priority via air, anything else that is not so urgent they will send using another method to help keep costs low. Another factor that could influence the cost of your air freight Shipping Boxes is what you decide to do with your goods upon their arrival at your end destination. You can opt to collect your belongings at the airport yourself, or you can allow one of our diligent overseas teams to deliver your goods direct to your front door. For Shipping Boxes on a global scale, sea freight is a popular transport method of choice due to its cost-effectiveness and ease for clients. Depending on your journey’s end, Shipping Boxes via sea freight can be a slow process and so we recommend that you allocate ample time for your delivery. Shared container load is perfect if are shipping a one bedroom flat, a studio apartment or a small office space. All of your goods and furnishings will be wrapped, packed and loaded onto a shared shipping container and you will only pay the space your luggage occupies. Dedicated container load is the ideal Shipping Boxes method if you need to send an entire home load or a large commercial office space with equipment and furniture. You will pay for the personal use of a 20ft or 40ft shipping container. The 20ft container will comfortably fit a three-bedroom home and 40ft is ample space to send a vehicle alongside other goods. Due to our memberships with a number of world-recognised shipping and removals associations, you can have confidence that no matter where you are in the world, you will receive the same premium service as in the UK. Why Choose Movecorp for Shipping Boxes? When you choose our shipping boxes UK service, you are getting experience and dedication every time. Your goods will be covered by our insurance, so worry not. Our team is fully-trained to deal with the whole process effectively, including knowledge of customs and documents needed for each country when sending boxes overseas. Plus, your shipping boxes will be tracked for peace of mind. Movecorp are fully-accredited by the British Association of Removers (BAR), so you can rest assured that your shipping boxes are in good hands.